In America today, a home or business goes solar every four minutes. That’s what the White House did today as President Obama announced the completion of a solar panel installation on part of the roof. Thousands of homes will go solar in the next few years, and electricity bills will be lower for more than 1 billion square feet of buildings. The new installations mean less carbon pollution, and more home grown jobs. In fact, last year, jobs in the US solar industry increased by 20 percent. 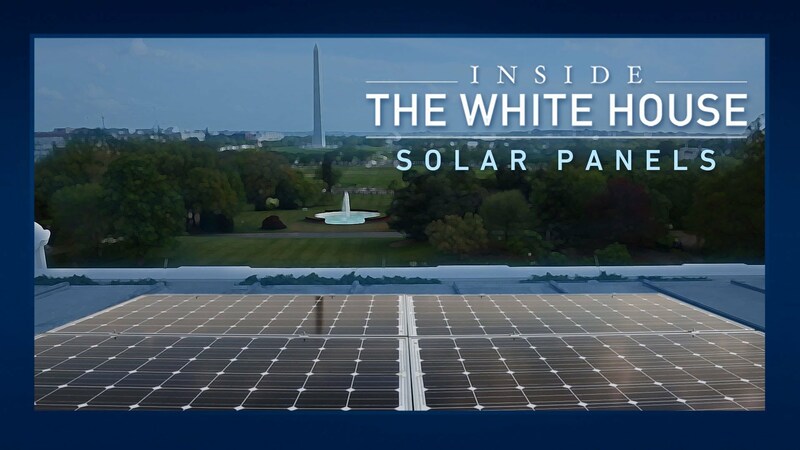 Every component of the White House solar array was made in America. “Solar is getting cheaper and is getting easier to use,” said the President speaking in California. President Jimmy Carter also installed solar panels at the White House in the 1970s that provided hot water, but President Ronald Reagan had them removed.